Quit your whining. It isn't always about you. I saw the movie, "Selma" last night. 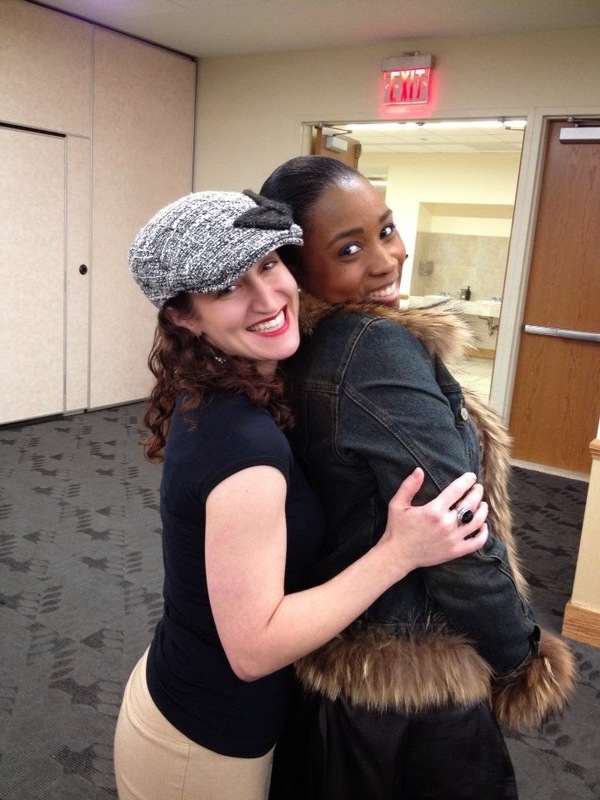 I'd like to tell you I went with my friend, Allesha, because we decided we wanted to hang out on a Saturday night and we thought seeing any old movie on any old weekend in any old theater would be a jolly good time. But Allesha and I decided to arrange an "field trip" with our respective faith-based communities because we live in New York. And she's black. And I'm white. 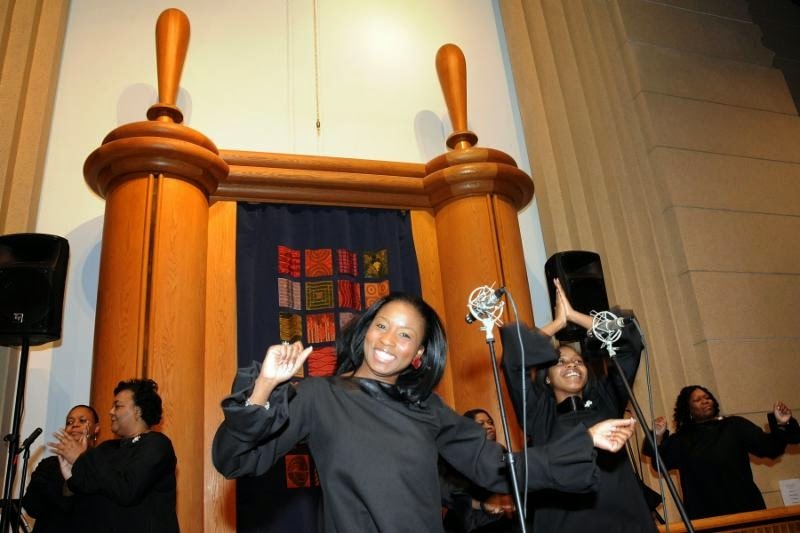 And when I saw a bunch of white Jews sitting in the street in a posh Upper West Side neighborhood in the beginning of December to protest moral injustices against the black community, I wrote to Allesha: I feel like our houses of worship have a relationship and where are we now?! We should be holding you in our arms and saying, "We stand WITH you just as we sat FOR you." Our goal was fellowship. The occasion to come together, to continue the relationship that our clergy have been fostering for years, mostly through our annual Rev. Martin Luther King, Jr. concert. We met at the theater, we ate popcorn, we went home. We didn't hold hands, we didn't sing, "Kumbaya," (And you haven't heard "Kumbaya" until you've heard the Green Pastures Baptist Church Choir sing "Kumbaya.") we didn't even debrief. Maybe next time. I had seen the critiques of the depiction of LBJ. It wasn't something I cared that much about. (I'm sorry if that offends you. I can only care about the things that I care about.) A struggle was portrayed. I had been told of the critique of the absence of Abraham Joshua Heschel in the movie, but as soon as the camera panned out over the first rows of marchers, I saw a white man with a large black skullcap (carrying a briefcase. Was that a thing?) in the front row and another white gentleman with a colorful skullcap a few rows behind. I watched the rest of the movie, acknowledging that the man whom I assumed was SUPPOSED to be Heschel didn't LOOK like Heschel but without being terribly bothered by it. When I got home I looked up one of the most widely circulated critiques of the movie vis-à-vis Heschel's absence and found that it was written by his daughter, Susannah. Frankly, if a Hollywood movie about the Abayudaya Jews of Uganda hit the theaters and the man we were supposed to assume was my dad was depicted by, I dunno, Benjamin Pratt...(Sorry, Daddy. Bad example.) What I'm saying is: no. There was no one in the movie who LOOKED like Abraham Joshua Heschel. There was no mention of Abraham Joshua Heschel. But that should in no way undermine the message of "inclusiveness" portrayed in the movie. The movie "is not called "King"; this is Selma." Hardly anyone is drawing attention to the "misrepresentation" of the firebombed church. This wasn't about us, people. Not everything is. 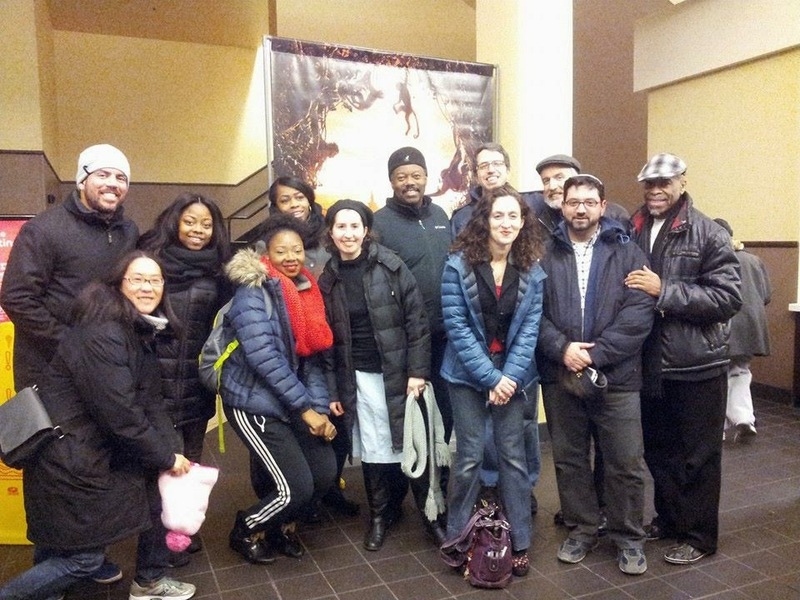 I went to the movies last night, in the Bronx, with members of a Baptist church. Allesha and I don't fancy ourselves modern day Drs. Heschel and King. There was no Edmond Pettus bridge and we didn't "march" into the theater. We shared popcorn, we posed for pictures, then we went home. Our communities will join together tomorrow night to commemorate the legacy of Dr. King. I pray that this is only the beginning. That we continue to support each other as part of the extended family that we are. That we continue to appreciate the unique blessings each of us bring to our relationship as well as the powerful lessons taught by leaders such as Rev. Martin Luther King, Jr. and Rabbi Abraham Joshua Heschel. That we all recognize that sometimes it isn't just about us.